The Policy applies to personal information about Legends Whistler operated by Lodging Ovations / Whistler Blackcomb's customers and other individuals that is collected, used or disclosed by Legends Whistler operated by Lodging Ovations / Whistler Blackcomb. The Policy does not apply to information about Legends Whistler operated by Lodging Ovations / Whistler Blackcomb's corporate customers; however, such information is protected by other Legends Whistler operated by Lodging Ovations / Whistler Blackcomb policies and practices and through contractual arrangements. The Policy does not apply to information about Legends Whistler operated by Lodging Ovations / Whistler Blackcomb's employees; however, such information is protected by other Legends Whistler operated by Lodging Ovations / Whistler Blackcomb policies and practices. This Policy is subject to change, and may be supplemented or modified by additional terms applicable between Legends Whistler operated by Lodging Ovations / Whistler Blackcomb and an individual. Legends Whistler operated by Lodging Ovations, Whistler Mountain Resort Limited Partnership, Blackcomb Skiing Enterprises Limited Partnership, Whistler Blackcomb Holdings Inc. and their subsidiaries and certain designated affiliates, as they may exist from time to time. Third party - an individual or organization outside Legends Whistler operated by Lodging Ovations / Whistler Blackcomb. Use - the treatment, handling and management of personal information by and within an organization. Legends Whistler operated by Lodging Ovations / Whistler Blackcomb is responsible for personal information under its control and shall designate one or more persons who are accountable for Legends Whistler operated by Lodging Ovations / Whistler Blackcomb's compliance with the following principles. 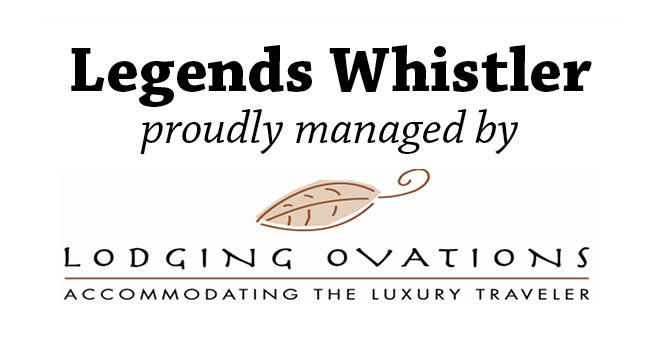 1.2 Legends Whistler operated by Lodging Ovations / Whistler Blackcomb shall make known, upon request, the title of the person or persons designated to oversee Legends Whistler operated by Lodging Ovations / Whistler Blackcomb's compliance with the Policy. 1.3 Legends Whistler operated by Lodging Ovations / Whistler Blackcomb is responsible for personal information in its possession or under its control. Legends Whistler operated by Lodging Ovations / Whistler Blackcomb shall use appropriate means to protect personal information while information is being processed by a third party on behalf of Legends Whistler operated by Lodging Ovations / Whistler Blackcomb (see Principle 7). d) developing public information to explain Legends Whistler operated by Lodging Ovations / Whistler Blackcomb's policies and practices. Legends Whistler operated by Lodging Ovations / Whistler Blackcomb shall identify and document the purposes for which personal information is collected at or before the time the personal information is collected or, when appropriate, at or before the time the personal information is used for a new purpose. f) to manage and develop Legends Whistler operated by Lodging Ovations / Whistler Blackcomb's business and operations, including transfer of data among affiliated entities. 2.2 Legends Whistler operated by Lodging Ovations / Whistler Blackcomb shall, as appropriate, specify orally, electronically or in writing the identified purposes to the individual at or before the time personal information is collected. Upon request, persons collecting personal information shall explain these identified purposes or refer the individual to a designated person within Legends Whistler operated by Lodging Ovations / Whistler Blackcomb who shall explain the purposes. Legends Whistler operated by Lodging Ovations / Whistler Blackcomb may disclose personal information without knowledge or consent to a lawyer or other advisor representing Legends Whistler operated by Lodging Ovations / Whistler Blackcomb, to collect a debt, to comply with a subpoena, warrant or other court order, or as may be otherwise required or authorized by law. 3.1 In obtaining consent, Legends Whistler operated by Lodging Ovations / Whistler Blackcomb shall use reasonable efforts to ensure that an individual is advised of the identified purposes for which personal information will be used or disclosed. Purposes shall be stated in a manner that can be reasonably understood by the individual. 3.2 Generally, Legends Whistler operated by Lodging Ovations / Whistler Blackcomb shall seek consent to use and disclose personal information at the same time it collects the information. However, Legends Whistler operated by Lodging Ovations / Whistler Blackcomb may seek consent to use and disclose personal information after it has been collected, but before it is used or disclosed for a new purpose. 3.3 Legends Whistler operated by Lodging Ovations / Whistler Blackcomb will require individuals to consent to the collection, use or disclosure of personal information as a condition of the supply of a product or service only if such collection, use or disclosure is reasonably required to fulfill the identified purposes. 3.4 In determining the appropriate form of consent, Legends Whistler operated by Lodging Ovations / Whistler Blackcomb shall take into account the sensitivity of the personal information and the reasonable expectations of an individual. Legends Whistler operated by Lodging Ovations / Whistler Blackcomb shall limit the collection of personal information to that which is necessary for the purposes identified by Legends Whistler operated by Lodging Ovations / Whistler Blackcomb and as permitted by law. 4.1 Legends Whistler operated by Lodging Ovations / Whistler Blackcomb collects personal information primarily from the individual to whom the information relates. 4.2 Legends Whistler operated by Lodging Ovations / Whistler Blackcomb may also collect personal information from other sources including credit bureaus or other third parties who represent that they have the right to disclose the information, or as otherwise permitted by law. Legends Whistler operated by Lodging Ovations / Whistler Blackcomb shall not use or disclose personal information for purposes other than those for which it was collected, except with the consent of the individual or as required by law. Legends Whistler operated by Lodging Ovations / Whistler Blackcomb shall retain personal information only as long as necessary for the fulfillment of those purposes or as required or permitted by law. 5.2 Only Legends Whistler operated by Lodging Ovations / Whistler Blackcomb employees with a business need to know, or whose duties reasonably so require, are granted access to personal information about individuals. 5.3 Depending on the circumstances, where personal information has been used to make a decision about an individual, Legends Whistler operated by Lodging Ovations / Whistler Blackcomb shall retain, for a reasonable period of time, either the actual information or the rationale for making the decision. 5.4 Legends Whistler operated by Lodging Ovations / Whistler Blackcomb shall maintain reasonable and systematic controls, schedules and practices for information and records retention and destruction which apply to personal information that is no longer necessary or relevant for the identified purposes or required or permitted by law to be retained. Such information shall be destroyed, erased or made anonymous. 5.5 Where appropriate, Legends Whistler operated by Lodging Ovations / Whistler Blackcomb may communicate updates of personal information to third parties. 5.6 Legends Whistler operated by Lodging Ovations / Whistler Blackcomb may engage affiliates or third party service providers for the purpose of providing services or processing information on behalf of Legends Whistler operated by Lodging Ovations / Whistler Blackcomb, and we may transfer or disclose personal information to such parties in connection with such purposes. Some divisions, affiliates or third party service providers may be located in other jurisdictions, and information in their custody (i) may or may not be subject to privacy legislation similar to that applicable to Legends Whistler operated by Lodging Ovations / Whistler Blackcomb, and (ii) may be subject to laws applicable in such jurisdictions that permit access to such information by foreign governments or law enforcement agencies or by others. Legends Whistler operated by Lodging Ovations / Whistler Blackcomb shall take steps to ensure that personal information is as accurate, complete and up-to-date as is appropriate for its purposes. 6.1 Personal information used by Legends Whistler operated by Lodging Ovations / Whistler Blackcomb shall be sufficiently accurate, complete and up-to-date to minimize the possibility that inappropriate information may be used to make a decision about an individual. 6.2 Legends Whistler operated by Lodging Ovations / Whistler Blackcomb shall take all reasonable steps to update personal information about individuals as and when reasonably necessary to fulfill the identified purposes or as reasonably requested by the individual. Legends Whistler operated by Lodging Ovations / Whistler Blackcomb shall protect personal information by security safeguards appropriate to the sensitivity of the information. 7.1 Legends Whistler operated by Lodging Ovations / Whistler Blackcomb shall take appropriate and reasonable steps to protect personal information against such risks as loss or theft, unauthorized access, disclosure, copying, use, modification or destruction. 7.2 Legends Whistler operated by Lodging Ovations / Whistler Blackcomb shall take appropriate and reasonable steps to protect personal information disclosed to third parties, for example by contractual agreements stipulating the confidentiality of the information and the purposes for which it is to be used. Legends Whistler operated by Lodging Ovations / Whistler Blackcomb shall make readily available to individuals specific information about its policies and practices relating to the management of personal information. c) a description of the type of personal information held by Legends Whistler operated by Lodging Ovations / Whistler Blackcomb, including a general account of its use. Upon request, Legends Whistler operated by Lodging Ovations / Whistler Blackcomb shall inform an individual of the existence, use and disclosure of his or her personal information, at a minimal or no cost to the individual. An individual shall be able to challenge the accuracy and completeness of the information and have it amended as appropriate. 9.1 In certain situations, Legends Whistler operated by Lodging Ovations / Whistler Blackcomb may not be able to provide access to all the personal information that it holds about an individual. For example, Legends Whistler operated by Lodging Ovations / Whistler Blackcomb may not provide access to information if doing so would likely reveal personal information about a third party or could reasonably be expected to threaten the life or security of an individual. Also, Legends Whistler operated by Lodging Ovations / Whistler Blackcomb may not provide access to information if disclosure would reveal confidential commercial information, if the information is protected by solicitor-client privilege, if the information was generated in the course of a formal dispute resolution process, or if the information was collected in relation to the investigation of a breach of an agreement or a contravention of a law. If access to personal information cannot be provided, Legends Whistler operated by Lodging Ovations / Whistler Blackcomb shall, upon request, provide the reasons for denying access. 9.2 In order to safeguard personal information, an individual may be required to provide sufficient identification information to permit Legends Whistler operated by Lodging Ovations / Whistler Blackcomb to authorize access to the individual's file. 9.3 Individuals can seek access to their personal information by contacting the Privacy Office at Legends Whistler operated by Lodging Ovations / Whistler Blackcomb. 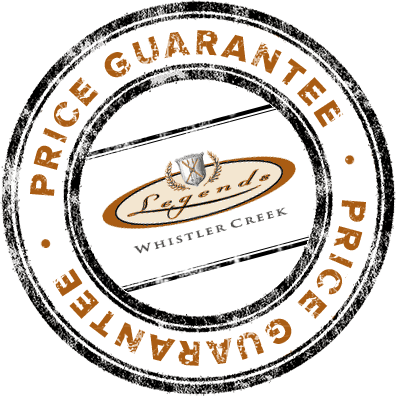 9.4 Legends Whistler operated by Lodging Ovations / Whistler Blackcomb will endeavor to respond to all requests within 30 days or, in any event, as required or permitted by applicable law. An individual shall be able to address a challenge concerning compliance with the above principles to the designated person or persons accountable for Legends Whistler operated by Lodging Ovations / Whistler Blackcomb's compliance with the Policy. 10.1 Legends Whistler operated by Lodging Ovations / Whistler Blackcomb shall maintain procedures for addressing and responding to all inquiries or complaints from individuals about Legends Whistler operated by Lodging Ovations / Whistler Blackcomb's handling of personal information. 10.2 Legends Whistler operated by Lodging Ovations / Whistler Blackcomb shall inform its customers about the existence of these procedures as well as the availability of complaint procedures.